New! Free! SegPlay Online, available on Facebook on your desktop and laptop computers. SegPlay Online is now available and available on Facebook! Give it a try…. 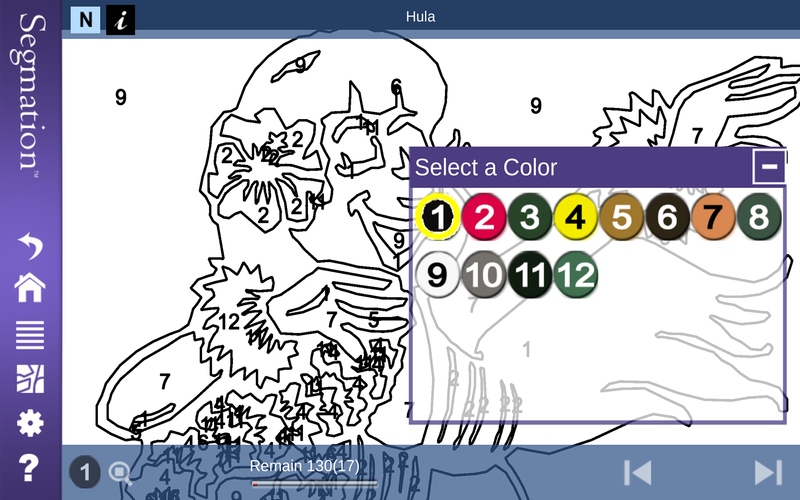 With the same features as our mobile version, SegPlay® Online always desktop computer users to play the quickest, coolest, and fastest way to paint by numbers. It’s perfect for Adult Coloring! Buy just one pattern set and you’ll unlock all of the game modes, including normal, timed, scored, hint, creative, and instant painting. Plus you’ll get rid of those pesky advertisements. Developed specifically with both the serious and casual gamer in mind, SegPlay® Online is an amazingly satisfying distraction on your desktop and laptop computers. This innovative app allows users to color intricate line patterns from a wide range of photorealistic images. Plus it’s the perfect combination of SegPlay Online and SegPlay PC for anyone looking to paint by numbers while on the go. Use your fingertips like a paintbrush…but without any mess. And with our Autosave feature, SegPlay® Mobile can pick up at a moment’s notice right where you left off. Built on Segmation imaging technology, SegPlay® Online offers an endless stream of additional pattern sets – from easy to difficult – for less than $1 each. There over 100 sets available today! When added in to the game’s huge assortment of playing options for testing your painting skills, manual dexterity, speed, and artistic abilities, it’s easy to see how quickly the hours of enjoyment, skill-testing, and distraction can add up. There is also support for leaderboards and achievements to make it fun and competitive to paint patterns. Why wait? SegPlay Online is the perfect break during or after a busy day, so get started now! But fair warning – this game IS addictive! And don’t forget to join the online Segmation community to keep up with our new patterns and products. See for yourself why the Internet is buzzing that Segmation is the greatest thing in the art world since the invention of the paintbrush.